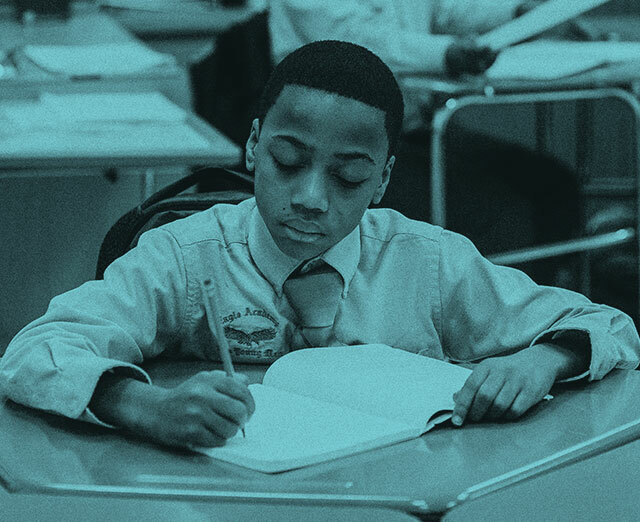 The Eagle Academy Foundation empowers at-risk inner city young men to realize their academic and civic potential with quality immersive learning experiences and proven community-based practices that address shortfalls in public education. The Eagle Academy graduation rate is 84% exceeding both New York City and national rates for young men of color. 98% of Eagle Academy were accepted to college, including prestigious institutions such as the University of Pennsylvania, the United States Military Academy at West Point, Carnegie Mellon University, and Morehouse College. Most importantly, all Eagle Academy young men embrace the ideal that hard work and strong character combined with academic achievement define success. Creating a new pipeline of academic and social success for inner-city young men.